Another car that I did while up in norcal / Bay Area. 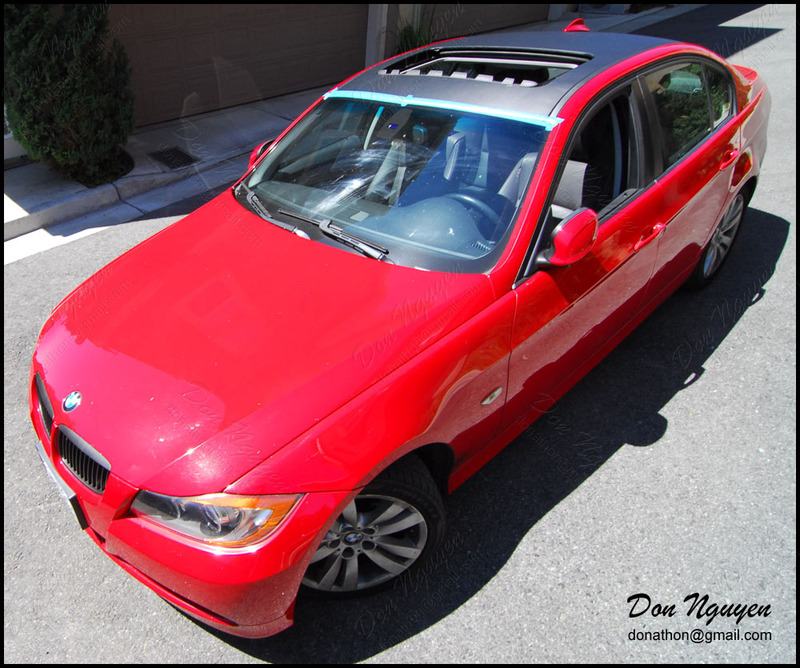 The owner of this red BMW E90 325i sedan had me vinyl wrap his roof in the 3m di-noc matte carbon fiber material. After doing the roof, he decided to have me also lightly tint / smoke his tail lights. Took some pictures of the tail lights inside and also outside to give you an idea of how it looks in different lighting conditions. Everything is custom cut / trimmed to the car, to make sure fitment is perfect and covers the whole / full area unlike pre cut pieces, which usually end up being a bit short around the edges.